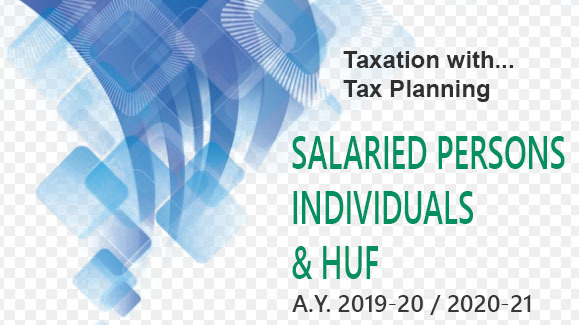 The above allowances shall be exempt either in full or upto a certain limit and the balance, if any, shall be taxable and thus included in gross salary. Entertainment Allowance, however, does not fall under section 10 and therefore it is not subject to any exemption. 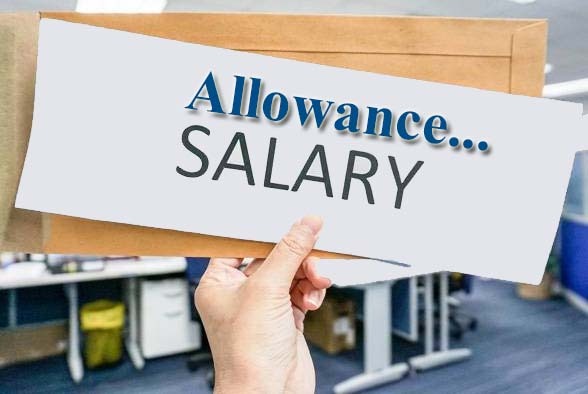 The entire entertainment allowance received by an employee is first included in gross salary and thereafter a deduction under section 16(ii) is allowed only to a government employee from gross salary on account of such entertainment allowance, already included. These allowances are not in the nature of a perquisite within the meaning of section 17(2) and are specifically granted to meet expenses wholly, necessarily and exclusively incurred in the performance of duties of an office or employment of profit. These allowances will be exempt the extent such expenses are actually incurred for that purpose. [Section 10(14)(i)]. Any allowance granted to meet the cost of travel on tour or on transfer of duty. "Allowance granted to meet the cost of travel on transfer" includes any sum paid in connection with transfer, packing and transportation of personal effects on such transfer. Any allowance, by whatever name called, granted to meet the expenditure incurred on the purchase or maintenance of uniform for wear during the performance of the duties of an office or employment of profit. Actual amount spent for the purposes of duties of office or employment. Exempt upto actual amount received per child or ₹100 p.m. per child upto a maximum of 2 children, whichever is less. Exempt upto actual amount received per child or ₹300 p.m. per child upto a maximum of two children, whichever is less. Exempt upto actual amount received or ₹200 per month, whichever is less. Exemption varies from ₹300 to ₹7,000 per month. Exemption varies from ₹200 p.m. to ₹1,300 p.m.
Exempt to the extent of ₹2,600 p.m.
Exempt to the extent of ₹1,000 p.m.
Exempt to the extent of ₹3,900 p.m.
Any transport allowance granted to an employee to meet his expenditure for the purpose of commuting between the place of his residence and the place of his duty, to the extent of ₹1,600 per month. However, such transport allowance granted to an employee, who is blind or deaf and dumb or orthopaedically handicapped with disability of lower extremities, is exempt to the extent of ₹3,200 p.m. instead of ₹1,600. Any underground allowance granted to an employee who is working in uncongenial, unnatural climate in underground mines shall be exempt to the extent of ₹800 p.m. Given to the member of the armed forces for altitude of 9000 ft to 15000 ft ₹1,060 p.m. and for altitude above 15000 ft ₹1,600 p.m.
Exempt to the extent of ₹4,200 p.m. Given to the member of the armed forces in the Andaman & Nicobar and Lakshadweep Group of Islands exempt to the extent of ₹3,250 p.m.
(1) Assessee claiming exemption of allowance mentioned under clauses (f) and (g) above shall not be entitled to the exemption in respect of allowance referred to under clause (e) above. (2) Assessee claiming exemption in respect of the allowance mentioned under clause (h) above shall not be entitled to the exemption in respect of disturbed area allowance mentioned under clause (e) above. (3) It may be noted that allowances mentioned in para 4.13b above are exempt to the extent of amount received or the limit specified, whichever is less. Actual expenditure in this case has no relevance. E.g. if an employee receives ₹2,000 p.m. as transport allowance for commuting between the place of residence and the place of duty and actually spends ₹1,200 p.m. for this purpose, the exemption, in this case shall be ₹1,600 p.m. although the amount actually spent was ₹1,200 p.m. Note : Exemption will be allowed to the transport employees only when they are not in receipt of daily allowance. This deduction is allowed only to a Government employee. Non-Government employees shall not be eligible for any deduction on account of any entertainment allowance received by them. In case of entertainment allowance, the ssesse is not entitled to any exemption but he is entitled to a deduction under section 16(ii) from gross salary. Therefore, the entire entertainment allowance received by any employee is added in computation of the gross salary. The Government employee is, then, entitled to deduction from gross salary under section 16(ii) on account of such entertainment allowance to the extent of minimum of the following 3 limits. Actual entertainment allowance received during the previous year. 20% of his salary exclusive of any allowance, benefit or other perquisite. For purpose of deduction in respect of entertainment allowance, the actual amount spent towards entertainment expenses is irrelevant. Even if the Government employee spends the entire amount of entertainment allowance or even an amount greater than the entertainment allowance received is spent on entertainment for official purposes, the deduction shall be minimum of the above 3 limits. Amount actually spent out of entertainment allowance is irrelevant for claiming deduction. Sumptuary allowance has to be treated as an entertainment allowance. Allowances to High Court judges under section 22A(2) of the High Court Judges (Conditions of Service) Act, 1954. Sumptuary allowance given to High Court and the Supreme Court judges. Sumptuary allowance are in the nature of entertainment allowance. Allowance received by an employee of United Nations Organisation (UNO) from his employer. Medical Allowance: Fully taxable, irrespective of whether any amount has been spent on medical treatment or not.